Baby #1 is on the way! I'm 22 weeks along and ever since we found out we're having a baby girl the wheels have been turning for how to decorate the nursery. Here are my initial ideas, but I have a feeling I'm going to be changing my mind on a few things. I just want it cheery, but soothing, neat, and modern. Lots of colors and not TOO much pink. I already ordered the rug from Rugs USA during their 4th of July 40% off sale. Can't wait for it to get here! Looks great!! I added knobs to my malm ikea dresser (looks like the one you've got pictured). Super easy and totally transformed the look! congrats on your baby! 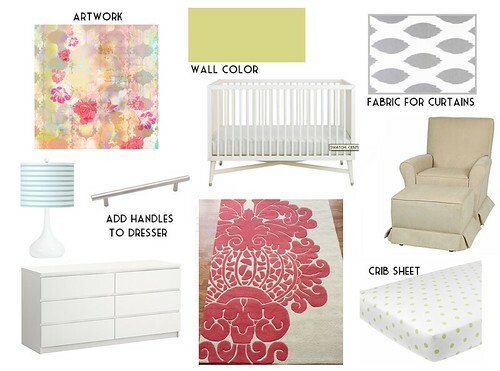 That's so exciting and I love the idea board you came up with for a nursery. Love the color combo. I think it's going to turn out amazing! Can't wait to see it! Love that rug! That will be amazing for a little girl. Congrats!!! Congrats! I'm not even sure how I found your blog. Your inspiration board is so pretty and I think you can do a lot w/ the palette you've chosen. I love the rug! congrats! so exciting :) girls are so much fun!! Congratulations!! I am very excited for you! 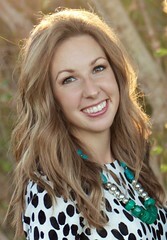 I can't wait to hear about your new decorating adventures with all things baby. Be well! So very jealous of your rug!! Loving the whole room, it's going to be amazing! Congrats. I love this board too. Can't wait to see the finished product (both - baby and room). Wow!congratulations for having a new baby girl.Baby is always a blessing.Anyways you have a very good idea and I think what you plan for your baby was going turn out fabulous.May I just suggest that using vibrant color for a baby girl was perfect.Thank you and take care.